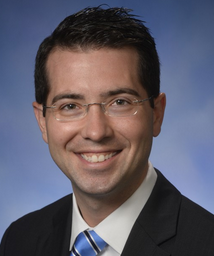 Current representative: The current representative for the 61st District is Rep. Brandt Iden (R-Oshtemo Twp.). The district includes the city of Portage as well as the townships of Oshtemo, Prairie Ronde, Schoolcraft and Texas, according to House Republicans. According to his official page, Iden is currently the president of Identity Management & Consulting Inc., a real estate management company. He is chariman of the House Ways and Means Committee for the 2019-20 session. A map of the 61st District is available here. Rep. Iden raises money through a Michigan House candidate committee, Committee to Elect Brandt Iden State Rep. He's also linked to a leadership PAC, Maintaining Majority Fund, which launched in May 2017 and began raising money.